Welcome to the North Bay British Car Club. 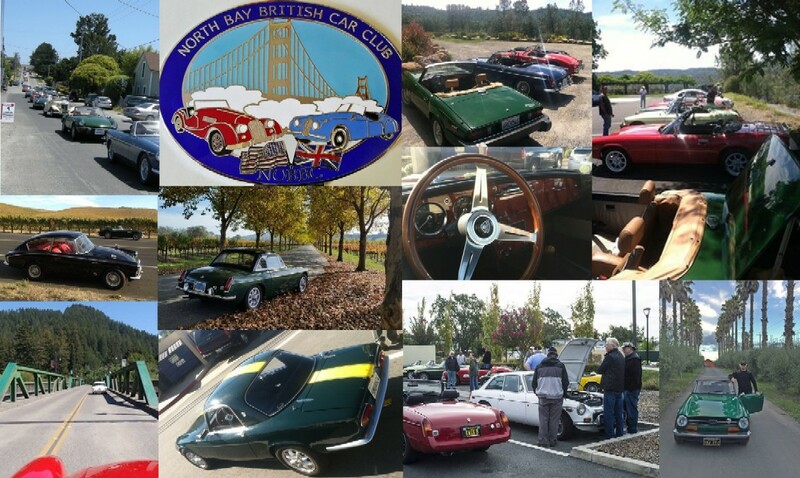 Open to all owners of British cars in Northern California and beyond, the NoBBC is a no frills operation with no president, no board of directors, no bylaws, and no dues, just volunteers who share a love and knowledge of British Cars. The club is located in the Santa Rosa/Sonoma County area but has members from all over the state. Click the 'Members' tab above to log out. NoBBC members gather every second and fourth Saturday (every second Saturday during winter months) to DRIVE!! Many drives are simply a matter of showing up with your British car and a full tank of gas. Our meeting place is generally in Sonoma County, but is announced before every ride. If you'd like to join us, click the 'Members' tab above. If you have questions that aren't answered here, feel free to email the website administrator at admin@thenobbc.com. Because we have no club officials and no person in charge, the club is run mostly by this website, which automatically schedules club drives and sends out notices to everyone who's signed up. Although anyone can sign up for NOBBC, and post photos and messages here, the best way to interact with members is to join us on one of those drives. Please note that membership here, along with posting of photos and notices, is moderated. Spammers, trolls, inappropriate and far off topic posts will be dealt with swiftly and firmly.